In the beginning of the game you have to buy your own horse. There are three horses to choose from. They go through most of what is included with buying your own horse and there is little information about the horse and if you get stuck for a horse then you write on a purchase contract. You can also buy all three. Once you have bought the horses, just go to the stable. There you will find your horses, which you must groom, ride, clean the boxes and more ... But it is not only your horses that stand there but there are several horses that you can also visit. The stable also has its own club room where you can write a diary and also write something in the club book about himself and his horse / horses. Of course you can also compete only in dressage. Jumping is not available at all in the game. 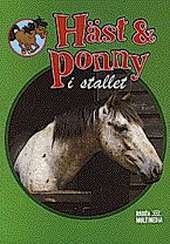 You can also get facts about the horse and play lots of games in the computer game, even other fun.